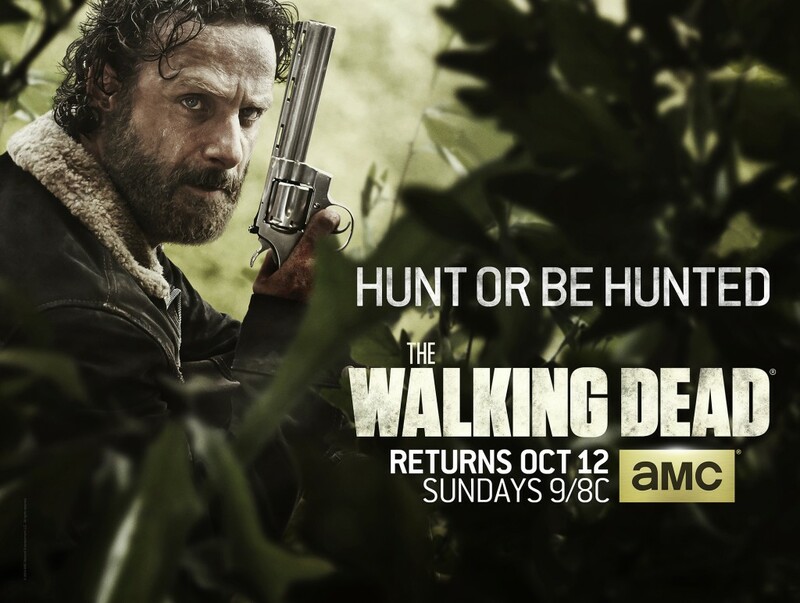 The fifth season of televisions most watched drama for adults 18-49 premieres Sunday, October 12 at 9pm ET/PT on AMC. Before the fifth season begins, fans can catch up on The Walking Dead season four on VOD and AMC.com. Based on the comic book series written by Robert Kirkman and published by Image Comics, The Walking Dead tells the story of the months and years that follow after a zombie apocalypse, and follows a group of survivors, led by police officer Rick Grimes, who travel in search of a safe and secure home. The series stars Andrew Lincoln as Rick Grimes; Norman Reedus as Daryl Dixon; Steven Yeun as Glenn; Lauren Cohan as Maggie; Chandler Riggs as Carl; Danai Gurira as Michonne; Melissa McBride as Carol; Michael Cudlitz as Abraham; Emily Kinney as Beth; Chad L. Coleman as Tyreese; Sonequa-Martin Green as Sasha; and Lawrence Gilliard Jr. as Bob Stookie. The series is executive produced by Showrunner Scott M. Gimple, Kirkman, Gale Anne Hurd, David Alpert, Greg Nicotero and Tom Luse.